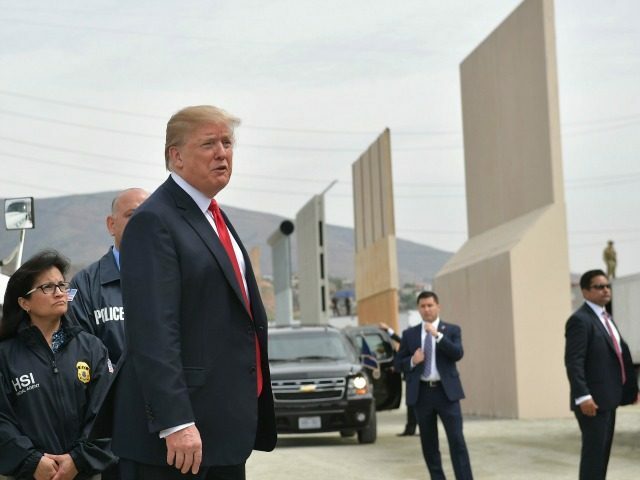 A new Rasmussen Reports poll reveals that a majority of Americans earning between $30,000 to $50,000 a year say Trump is doing a good or excellent job on the issue of immigration a year and a few months into his presidency. Meanwhile, only 40 percent of working and middle-class Americans said Trump was doing a “poor” job on the immigration issue. The least supportive of Trump’s immigration agenda so far are wealthy Americans, who profit from a never-ending flow of mass immigration whereby the U.S. admits more than 1.5 million illegal and legal immigrants every year. Trump has yet to secure funding and full construction of a border wall along the U.S.-Mexico border, despite it being his biggest campaign promise. Meanwhile, border-crossings have surged back to Obama-era levels and are expected to be overwhelmingly high this year if a wall is not built. In the first couple of months of 2018, Trump’s tight labor market, through increased immigration enforcement, yielded history-making wage growth for American workers in the construction industry, the garment industry, for workers employed at small businesses, and black Americans. Likewise, in Fiscal Year 2018 so far, more than 13,000 “unaccompanied minor” border-crossers have been resettled throughout the U.S., as Breitbart News reported.